They have been named Australians of the Year (1967) and appeared on their own “Music Legends” postage stamp. 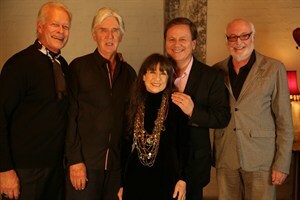 Now, in their 50th year, The Seekers Judith Durham, Athol Guy, Keith Potger and Bruce Woodley – will add another honour to their illustrious career when they receive the Ted Albert Award for Outstanding Services to Australian Music at the 2013 APRA Music Awards on June 17. 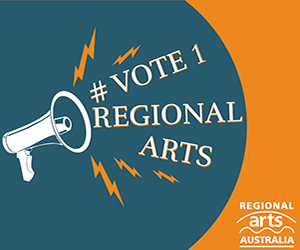 The Ted Albert Award for Outstanding Services to Australian Music honours those who have made a significant contribution to shaping and developing the Australian music landscape. The Seekers are the only chart-topping band from the 60s with all its original founding members – still recording and performing after half a century. They first performed together in Melbourne in 1962 and became Australia’s first international super group, topping charts around the world with unforgettable hits like Georgy Girl, The Carnival Is Over (No. 7 in the Top 10 UK Hits of the 60s), A World of Our Own and I’ll Never Find Another You (which to date has had more than 7 million hits on youtube.com). Famous for putting Australia on the international music map with their unique pop sound, singing four-part harmonies with acoustic guitars and double bass, The Seekers still hold the record for the biggest concert crowd in the southern hemisphere (200,000) in March 1967. With the Golden Jubilee Album sitting in the top 10 of the ARIA Australian Artist Albums chart, The Seekers embody the very spirit of the Ted Albert Award for Outstanding Services to Australian Music. The Ted Albert Award for Outstanding Services To Australian Music has been bestowed upon some of Australia’s most respected music industry heavyweights including Don Burrows, Michael Chugg, Slim Dusty, youth radio network triple j, Bill Armstrong, Angus & Malcolm Young, Roger Davies, Denis Handlin AM, the late Jimmy Little, Paul Kelly and last year’s recipient Mary Lopez.